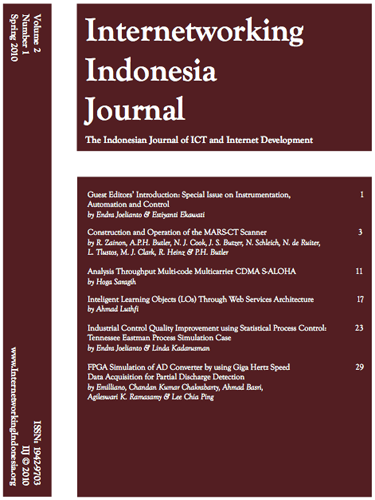 The Internetworking Indonesia Journal (IIJ) is a semi-annual electronic journal devoted to the timely study of the Information and Communication Technology (ICT) and Internet development in Indonesia. It aims to become the foremost publication for practitioners, teachers, researchers and policy makers to share their knowledge and experience in the design, development, implementation, and the management of ICT and the Internet in Indonesia. Last year two journals has been published. The inaugural issue, published in the spring of 2009, presented papers discussing many aspect of internet infrastructure: wired and wireless network (WiMAX and PLC), middle layers (cryptography), web-based applications, and netizen’s lifestyle. The second issue, published in the autumn of 2009, was focused on Data Mining. This issue was guest-edited by Dr Anto Satriyo Nugroho and M Arif Bijaksana. The IIJ provides open access to all of its content on the principle that making research freely available to the public supports a greater global exchange of knowledge. This follows the philosophy of the Open Journal Systems. The journals are published electronically and there are no subscription fees. Such access is associated with increased readership and increased citation of an author’s work. The next edition of IIJ will be published in the autumn of 2010. It will be a special issue on IP Networking and Services. The guest editors are Dr. Bernardi Pranggono (Dept of Electronics & Electrical Engineering, The University of Leeds, UK) and Dr. Setiadi Yazid (Computer Science Department, University of Indonesia (UI), Indonesia). 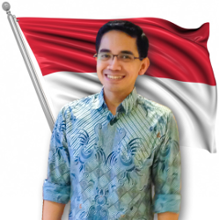 For more information, please visit internetworkingindonesia.org.